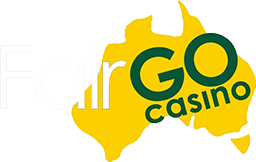 If you’re looking for fairly new online casinos for Aussie players you have, as always, stumbled upon the right place. The EuroMoon Casino has quite a lot to offer, so let’s have a look. If there’s one thing that you’d expect from an online casino, in general, it would be to have a range of different slots. Well, relying on companies such as GS, 1x2 Gaming, BetSoft, NextGen, Amatic, Amaya, NetEnt, Thunderkick and others of the kind, this particular venue definitely has quite a lot to offer. And, keep in mind that the list doesn’t stop there. Starting off, you can take advantage of a range of different classic 3-reel games provided by GS software. Popular names include Cosmo Slot, Motor Slots, Cash Machine as well as the Fashion Slots. Surely, though, the most fun you can get comes from the more contemporary and visually impressive 5-reel video slots. Some of them include Hook’s Heroes, The Tipsy Tourist, The Flash, Superman, Wonder Woman, A Dragon’s Story and others of the kind. Going further, the numerous software providers are there to ensure a lot of different new releases and games on a regular basis. 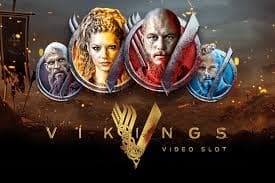 This is one of the best things about the EuroMoon Casino – not only is the current amount of games quite abundant, there are constantly releasing new titles for players to take advantage of. Of course, you can also have a go at some of the classic casino games. They include blackjack and roulette with all of the interesting variations that you can think of. Furthermore, there are some interesting options coming in with Fortune Wheel, Virtual Racebook 3D and others of the kind. Going further with our EuroMoon Casino review, there is also a very interesting first deposit bonus. 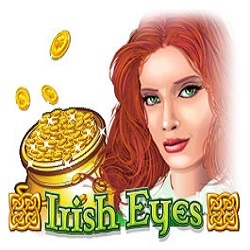 The casino is going to match 200% of your first deposit of up to 1000 Euros. This is quite substantial. In other words, if you deposit 1000 euros, the casino will provide another 2000 in bonus money. Of course, as it is with all of the welcome bonuses, there are quite a few terms and conditions. Right off the bat, you would be able to withdraw your winnings only if you manage to fulfill the 33x wager requirement. This means that you would have to wager 3000 euros 33 times, which is quite the hassle. But the bonuses don’t really stop there. Thanks to Skrill, NETELLER and Postepay, you can get another 15% deposit bonus if you put your cash through any of the above. This bonus is only wagered 25 times and you’d be able to withdraw it. What is more - you ought to consider that this particular bonus can be accumulated on top of your already claimed welcome bonus, increasing the value you get for your deposit even more. No casino review would be full without a worthy mention of the thing that most players are concerned with the most: the cashier and its capabilities. 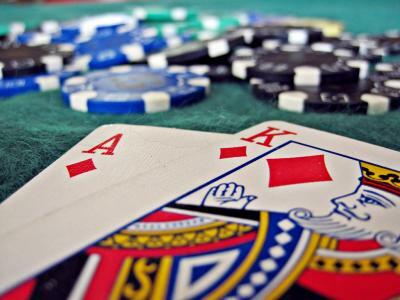 Of course, the venues that you can find online at Australia Casino are of the highest quality and they offer a comprehensive range of different options that you can take proper advantage of. If you want to deposit money, you can do so through: Maestro, MasterCard, Visa Electron, Clickandbuy, NETELLER, Paysafecard, Entropay, Instant Banking methods and wire transfers. These are definitely quite comprehensive. However, the withdrawal methods are rather lighter and there are some serious terms that you’d have to wait and limits that you’d have to abide by. You can get your money through Visa, MasterCard, Maestro, Visa Electron, Skrill, NETELLER, Entropay, Paysafecard and a few others. The thing that you have to consider here, though, is that there is a 5 day waiting period on all withdrawals and you can only get 5000 euros withdrawn a month. That’s right – if you hit a life changing jackpot, you might not be able to go ahead and withdraw it as quickly as you’d want to. All in all, the EuroMoon Casino is one that you must most definitely take into account, especially if you are looking for a proper experience and a huge abundance of interesting games to consider. While there are certain limits, this shouldn’t be something to deter you from giving it a shot. The casino itself is quite comprehensive and it does offer a whopping welcome bonus – don’t forget that. As a matter of fact, this is one of the most generous casino bonuses that we’ve stumbled upon lately. The venue is reputed, reliable and quite easy to work with. It is 100% mobile friendly and usable on iOS, Android and Windows phone. Don’t wait to register an account at the EuroMoon Casino. With the variety of online and video slots amongst a myriad of other games, you’ll have the time of your life!